Lovejoy got a much-needed total overhaul: new completely custom WordPress theme with a fresh look and feel (fully responsive), a new e-commerce section of their site, and a stunning collection of gorgeous photos displayed prominently. Designed in collaboration with their in-house art director, we focused heavily on making this as user-friendly and intuitive as possible for site admins. Woocommerce provides store functionality, which includes multiple shipping options within a single order, because while t-shirts can be shipped to your door, a cake really must be picked up at the bakery. 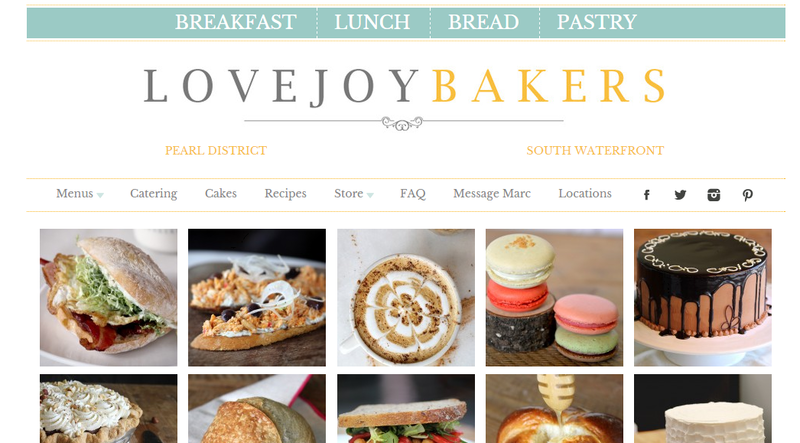 The home page as well as bread and pastry pages feature a really cool grid of images which open up on click very much like Google image search results. Play with it here!